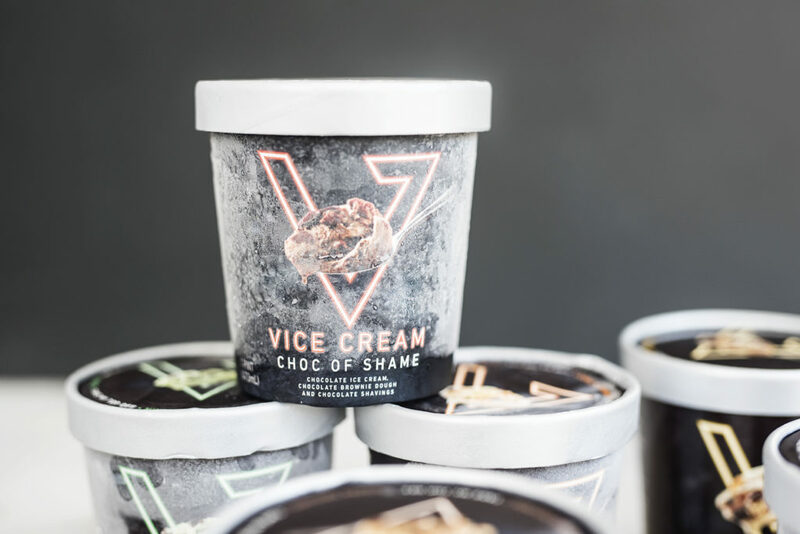 A new ice cream brand recently hit the grocery stores by me – Vice Ice Cream. 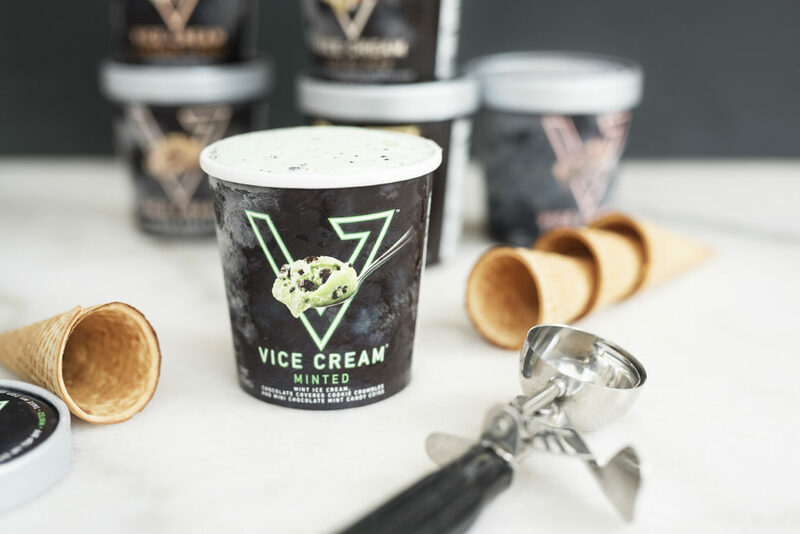 Not only is the ice cream amazingly creamy, the flavors available include everything but vanilla. 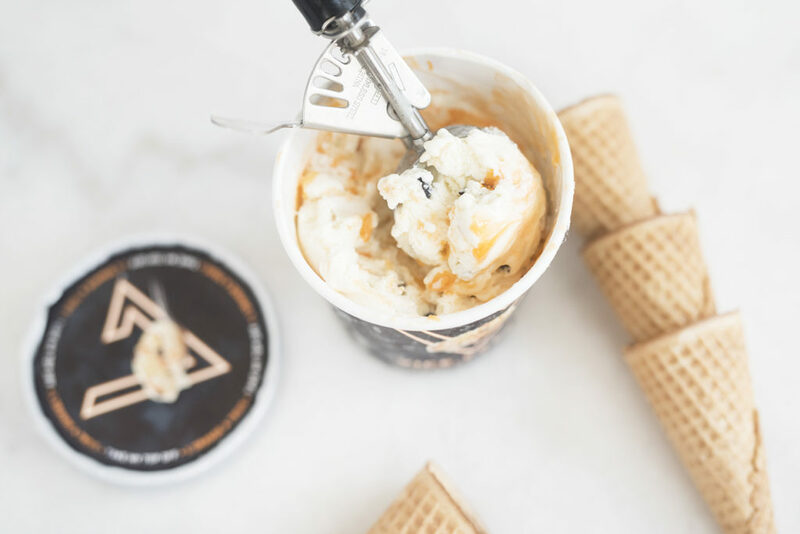 You’ll find pints filled with swirls of orange cream, chunky chocolate bites, chopped toffee bars, and decadent cookies! 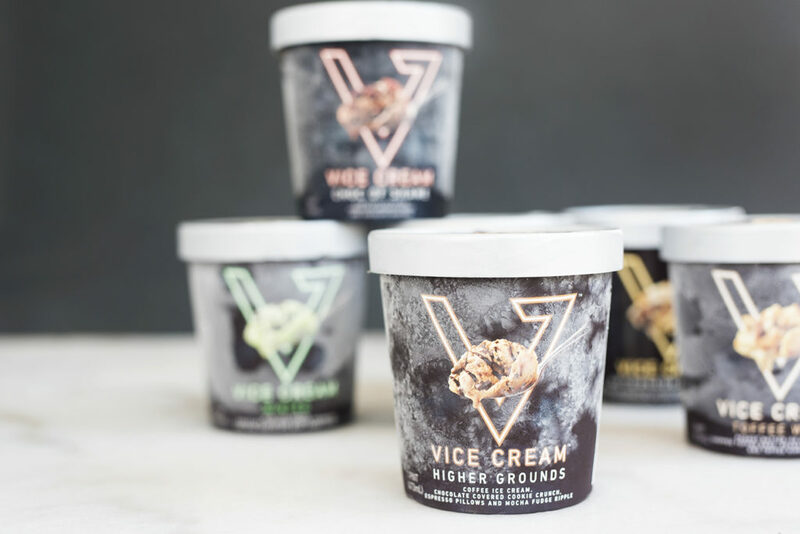 The names they use for each flavor are hillarious too. Some of my favorites include “Toffee Wife” and “Choc of Shame”. Every time I dig into choc of shame I get the urge to tap my spoon against the side of the container and chant “shame. shame. shame.” Does anyone else have Game of Thrones on their mind 24/7? I digress. Back to the ice cream. As soon as I had my hands a couple of pints, I knew exactly what I was going to do. 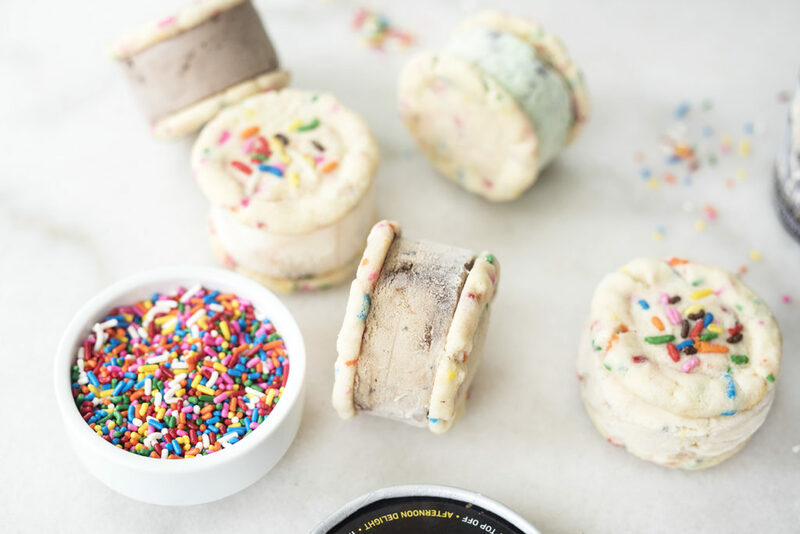 Make ice cream sandwiches! 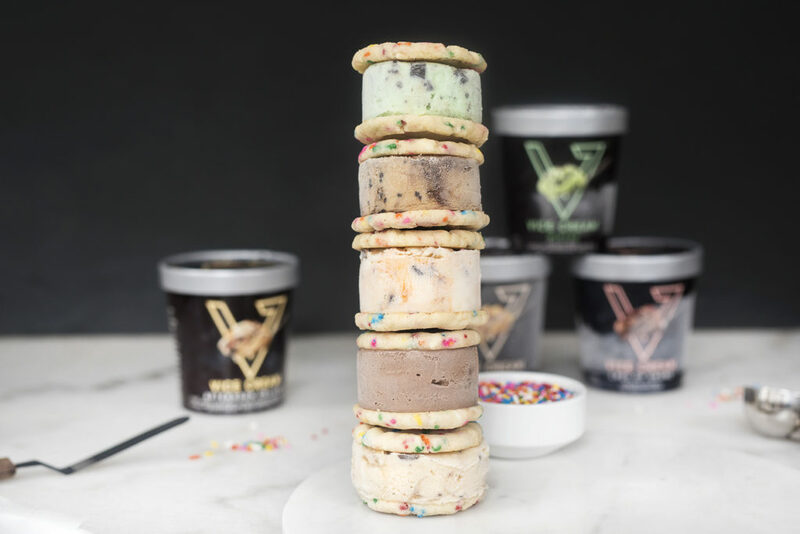 Sure you could buy those boring pre-made vanilla and chocolate ice cream sandwiches in the freezer section of the grocery store. But why not just go all out and customize it with the flavors you want?! Making them is a lot easier than you would think too. Plus, you can make as many or as little as you want. When I made this, I made about 1 dozen sandwiches in an assortment of flavors. Although I probably could have polished those off in a day, I kicked into self control mode and wrapped them in plastic wrap to store in the freezer. Whenever I have a craving for a cold sweet treat, I can reach right into the freezer and they’re right there ready to go! 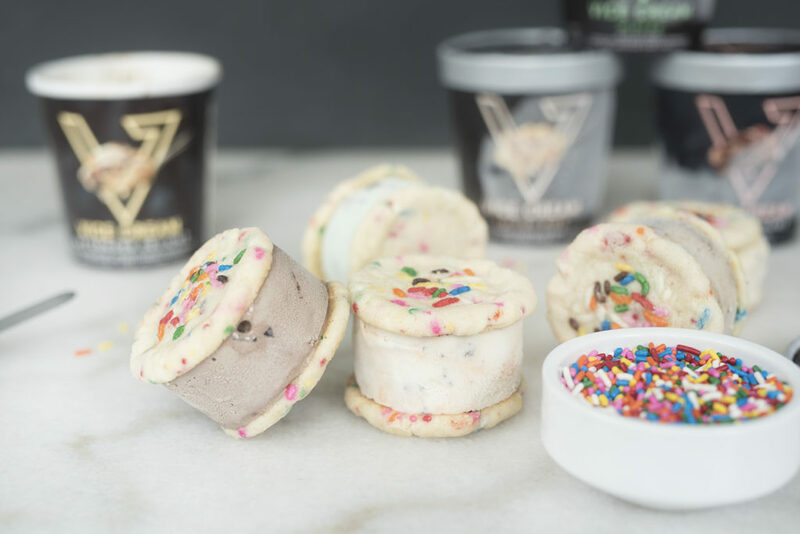 First, grab your favorite ice cream, the circular cookie cutter, and the wax paper. Tear off a sheet of wax paper and place on top of a plate. 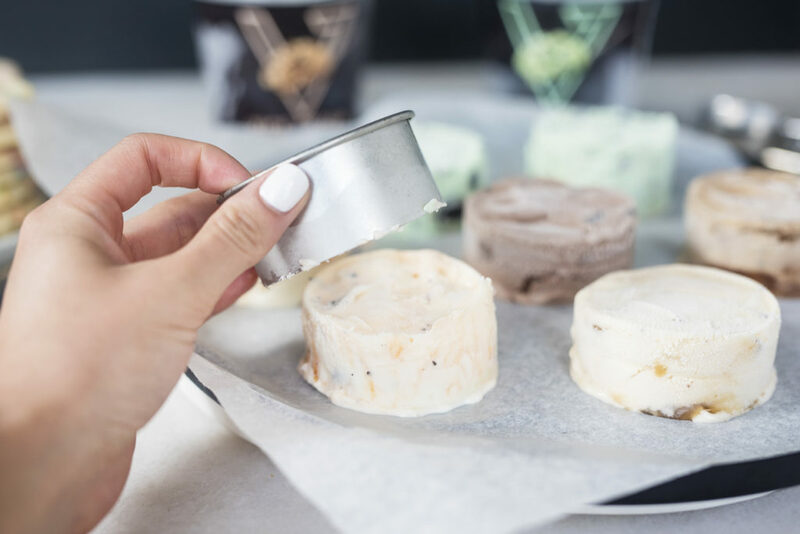 Place the cookie cutter on top of the plate and spoon your ice cream into the cookie cutter. Press down with spoon to make sure the ice cream is condensed. Place the plate in the freezer for a few minutes to harden. 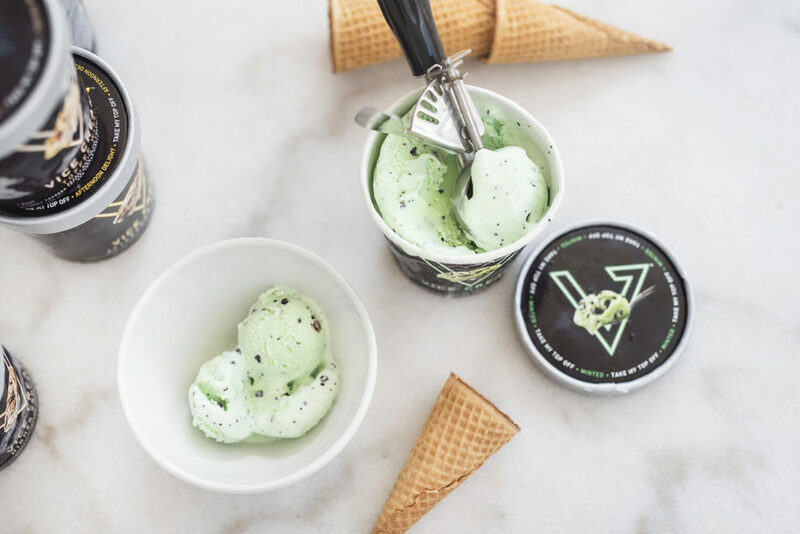 Remove from freezer and use the back of the spoon to push the ice cream out. 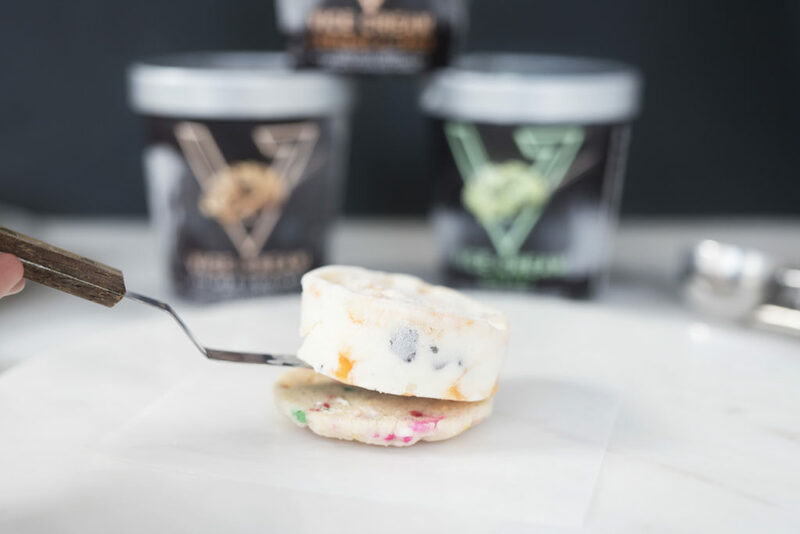 Place between two cookies and roll the sides in your favorite toppings (optional). Enjoy immediately or wrap in plastic and freeze until ready to eat! 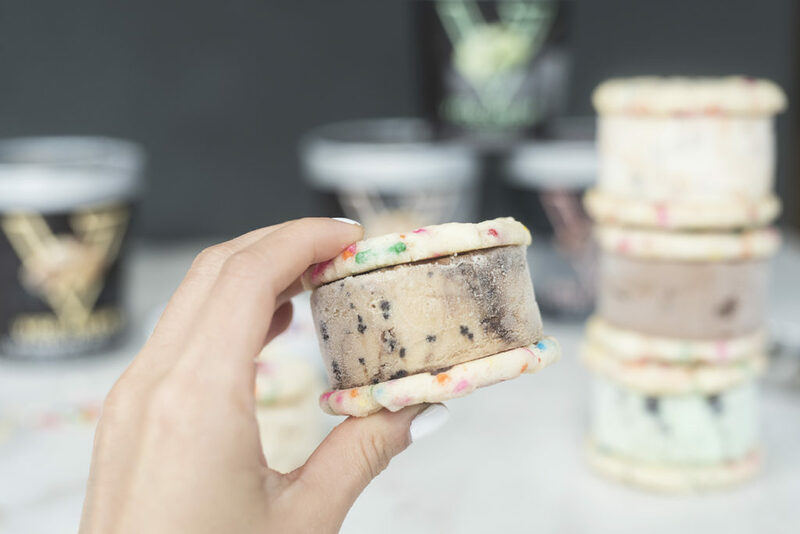 Repeat this process to create however many ice cream sandwiches you want. That’s all. Easy right? 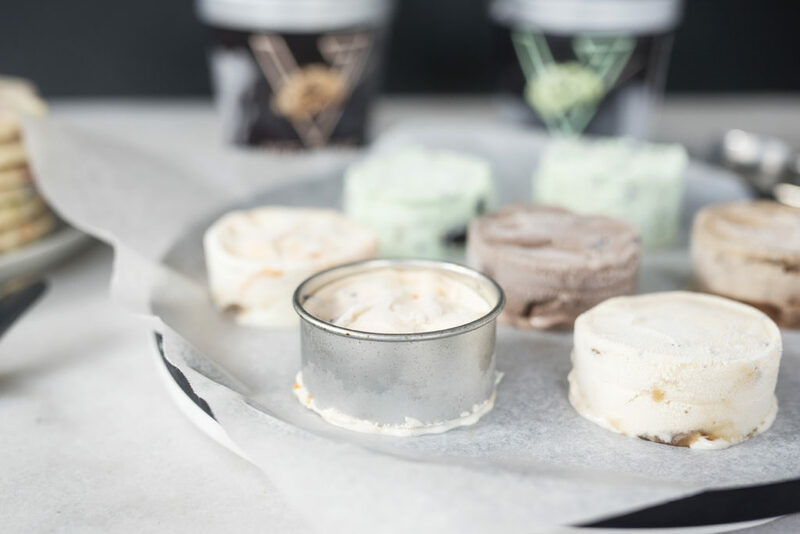 What flavor combination are you going to start with?